Every winter Inter Milan fans hope this is the year the team finally buck the worrying trend of struggling for no apparent reason in the winter. And every year fans are left disappointed. This year has been no exception as the team’s form is as ice cold as the Antarctic. The normally clinical captain Mauro Icardi has been missing sitters, the wingers and midfielders are delivering final balls as effective as high schoolers playing a pickup match, and everyone looks disinterested. The constant slew of surprising injuries and absences have only compounded these woes in recent weeks. 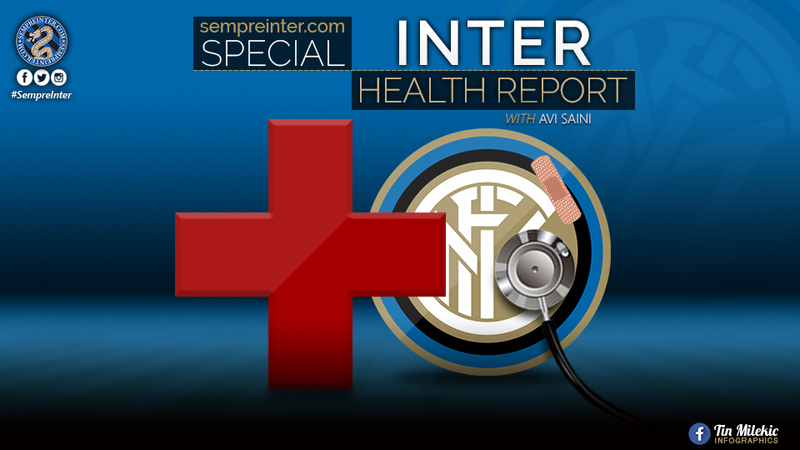 Health wise things do look brighter for the team as Inter seem set to get a few key men back in the upcoming weeks. But a return to winning ways comes down to if coach Luciano Spaletti can break the squad out of their funk. Sime Vrsaljko: A week ago surprising news about the Croatian’s knee injury from the World Cup emerged as it appeared it never properly healed. There have been no updates since about what Vrsaljko’s will do for treatment. However the club has updated their squad for both the remainder of the Serie A season and Europa League and Vrsaljko’s name has been left off the submission. Barring any future transfer or loan activity involving him, his time with the Nerazzuri has come to an unfortunate end. Keita Balde Diao: Several weeks ago the winger suffered a surprise thigh injury in training. MRI confirmed a strain of his bicep femoris (a hamstring muscle) and he has missed the last few matches as a result. Recent reports suggest the team is optimistic about his chances to travel with and play in this weekend’s fixture. His return will be a welcomed sight for the fans as prior to the injury he had been the team’s best wideman. Borja Valero: The Spaniard picked up knee injury during warmups for last week’s Coppa Italia match versus Lazio last week. The team hasn’t provided much information on the injury but it isn’t believed to be serious. However, he isn’t expected to included in the team sheet this weekend as the team intends to cautiously manage his health with an eye on next week’s Europa League match versus Rapid Vienna. Matteo Politano: After making an expression towards the referee in the first half versus Torino, the Italian winger was sent off with a red card and was subsequently handed a 2 match ban. As a result, he will be absent for the match against Parma before being eligible to return next weekend.